It seems that the British automaker really wants to go head to head with BMW and they have already made first steps by introducing a new SUV that is rumored to be called Range Rover Sport Coupe. 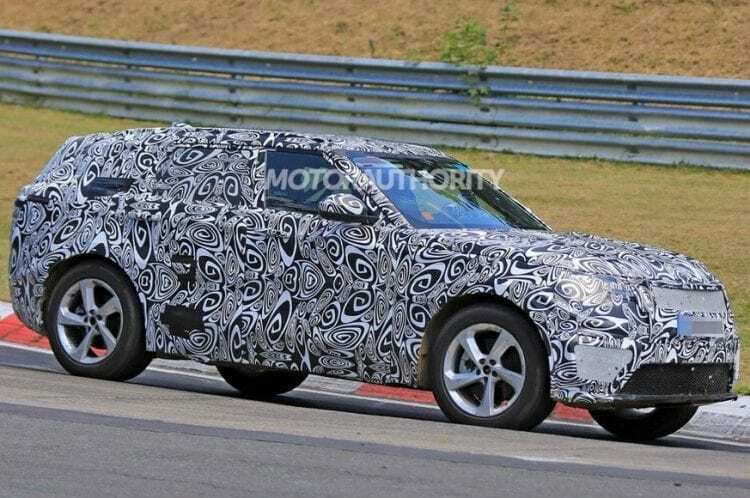 The video and spy shots prove that Land Rover plans to introduce another coupe-like SUV. This new vehicle will be joining the Range Rover Evoque Coupe in that segment. Land Rover wanted to build a model that will be even more urban than Range Rover Sport and it appears that they have achieved that goal. Even though the two vehicles do look similar, the roof of the L560, as they officially call it at Land Rover, is lower which suggests that the new model will not have a third row of seats as an option, unlike Range Rover Sport. Land Rover decided to go with the same aluminum-intensive base that underpins the Jaguar F-Pace. The platform needed to be adjusted since the L560 is a bit longer than the Jaguar model. Land Rover puts the new SUV in its luxury-oriented lineup between the Range Rover Evoque and Range Rover Sport, which is why it comes as no surprise that this vehicle is larger. Also, the L560 was prepared to battle against BMW X6 and Mercedes-Benz GLE Coupe, according to our sources. When it comes to what’s under the hood, this model might sport an inline-4 engine, but a 6-cylinder unit is expected to be standard in the U.S. Some rumors suggest that the new vehicle might be available also as a hybrid and that Land Rover might borrow the powertrain from Jaguar I-Pace. This also comes as no surprise since Land Rover will have to reduce fuel consumption and CO2 emissions if they do not want to break new rules and regulations. The 2018 Land Rover Range Rover Sport Coupe Sneak Peek will most likely be unveiled this year as a 2018 model and more information on the new vehicle is expected to be revealed soon.